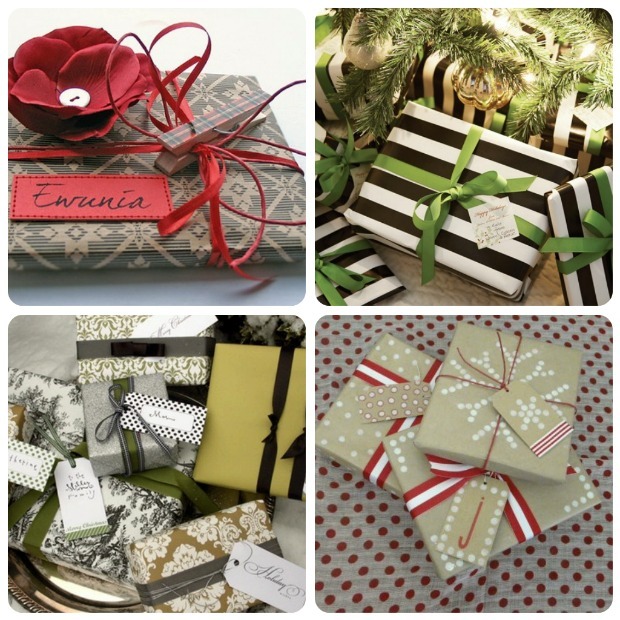 If you’re lucky enough to be attending a wedding over the next little while, here’s a few quick pointers for gift ideas, as well as some lovely inspiration for creative gift wrapping. This is generally the most recommended gift for a wedding these days, and because it’s something nearly all newly-wed couples are short of, you know it will be appreciated. To make giving cash more personal you could attach your envelope to a smaller, personally chosen gift item. 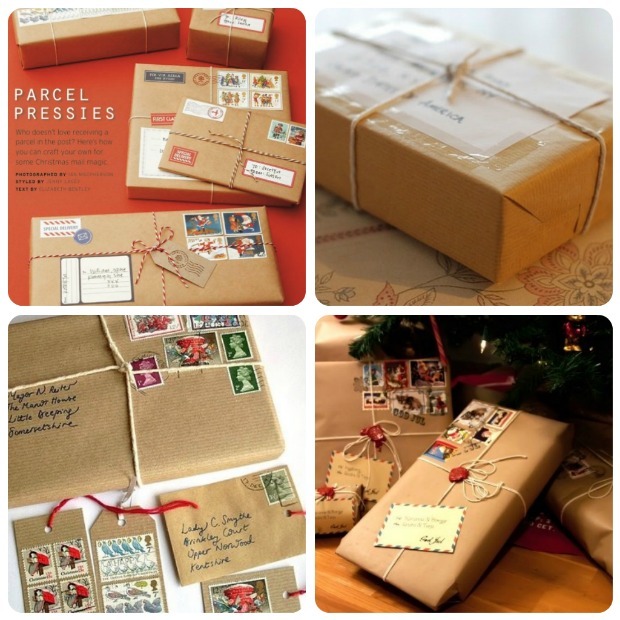 Or to make it seem more special you could wrap your envelope creatively. If the couple has a gift registry then it could be a good idea to stick to a gift item from there. Although it can seem a bit impersonal, you will at least be giving them something you know they will like. If all the items on the register are too expensive for your budget, it can be a good idea to either give a gift card from the registry store in an amount that you can afford, or chip in with other guests to purchase one of the couple’s dream items together. These gifts are great for couples that have been living together already and don’t require any of the traditional “setting up a home” type gifts. Sometimes the best-loved wedding gifts can come from thoughtful, sentimental ideas such as a book filled with the family recipes, or a photo album of candid, non-staged wedding shots. An anniversary journal is another romantic, sentimental idea for the couple. But now you’ve chosen the gift, how are you going to wrap it? Once you’ve settled on a gift for the wedding – why not go that little step further and make the gift something really special through lovely gift wrapping. It makes your gift stand out and gives the bride (and groom) that lovely sense of fun and anticipation that comes from unwrapping a beautiful or unique present. ALWAYS attach your gift tag or card securely to the gift – it’s very stressful for newly-weds or their family trying to remember who gave what, or match loose cards to random gifts. It also makes it a nightmare to thank people properly if you’re not quite sure what they gave you! If you’re planning on giving an envelope containing money or gift cards etc, transform it into a gift by using a generous length of double satin ivory or white ribbon, or other trimmings to embellish the outside. And finally, don’t forget your wedding wishes! We have compiled a small list of messages suitable for wedding gift cards or tags on our website. You can check these out here. 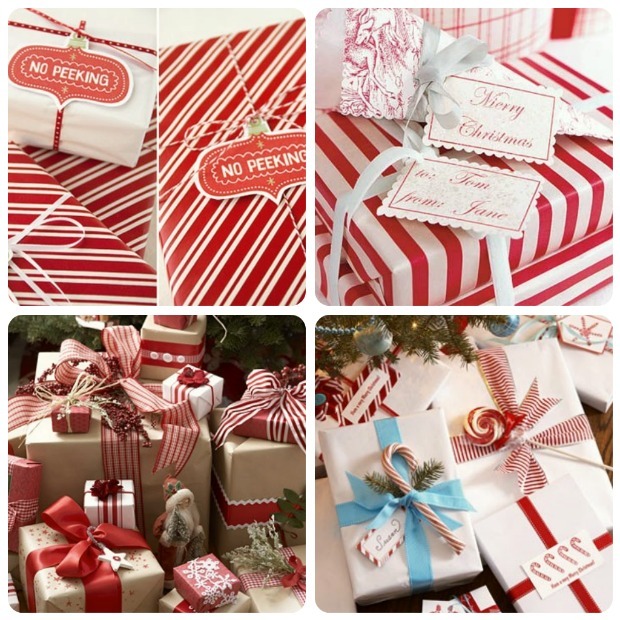 After a frantic couple of weeks wrapping gifts, assembling hampers and printing shipping labels here at The Paper Package, it’s so nice to be able to sit back for a while and browse the internet for fantastic and creative Christmas gift wrapping ideas. You can never over-emphasise how much the enjoyment of a gift begins right from the moment of receiving it, and how much fun it is to be given a present that has been wrapped with care and creativity. 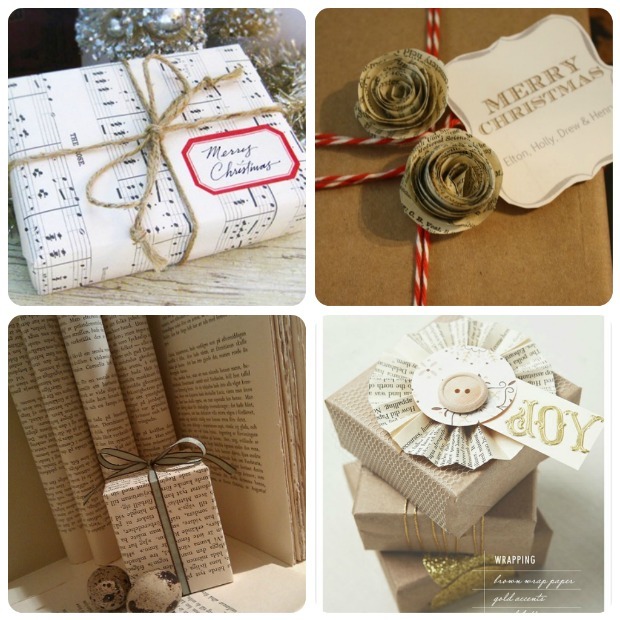 This is the last post for The Paper Package Blog for 2011… thanks so much for reading, and we’d like to wish you a very merry Christmas and happy new year! As we roll into the last week or so of primary school for the year, you might be considering giving a small Christmas gift to your child’s teacher(s). I think it’s a nice idea at the end of the year to let teachers know how much they’re appreciated, and it’s also really nice for your kids to be able to give a present to someone who’s such a big part of their daily life. With this in mind I did a little internet research to see what kinds of things teachers like to receive, and although it seems this varies widely, some gifts that are sure to be well-appreciated include stationery items (including quality journals or notebooks like the ones at The Paper Package:))… or a diary for next year… a nice bottle of wine… a book voucher… a lovely Christmas ornament… or even a gift basket. Realising that these involve a bit of cost however, it could be a good idea to join together with other parents to save the budget a little. Like this Reindeer Lunchbag idea from Family Fun.go.com. This would be great filled with some nice homemade goodies. So cute, what a hoot! And sticking with the puns, these printable Flower Picks from Skip To My Lou look bloomin’ good! And who could resist this final idea… it’s PRETTY. I don’t think it really matters what is inside the jar, but Simple As That‘s presentation is so simple and sweet it would melt the heart of Miss Trunchbull! 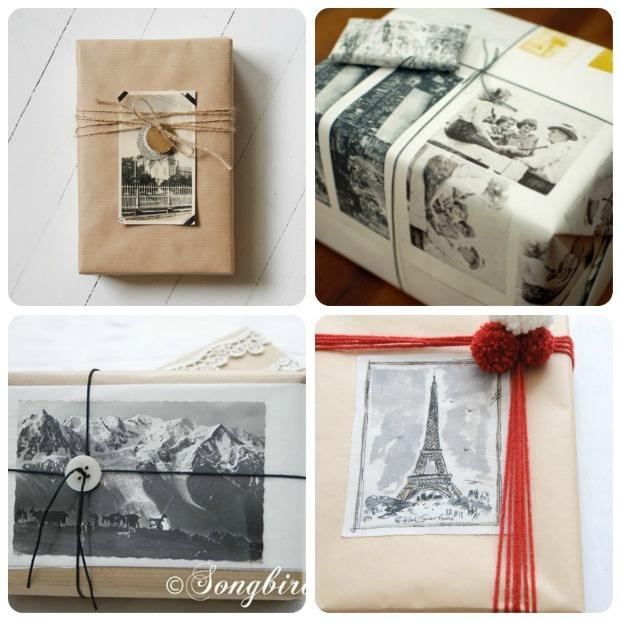 Then the tissue is folded over and the contents are sealed with either a vintage-inspired sticker or some decorative Japanese washi tape. 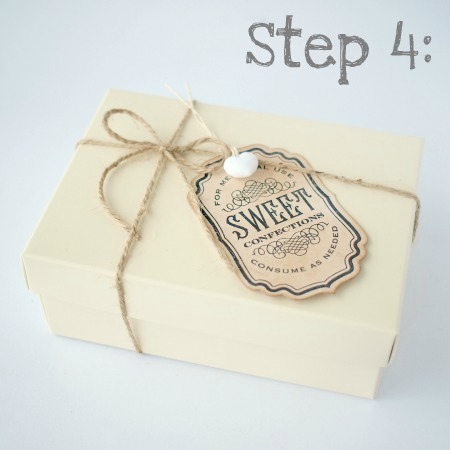 Then once everything is all secure inside, the box is tied with either string or ribbon in a simple bow. Then we usually hand write the customer’s message onto the gift tag… and secure this to the outside of the box also. In this step we wrap the paper package again with bubble wrap to protect it on its travels, and then secure this with a little hand made card. The final step is usually to put the package inside a courier trackpack. We use trackpacks to save costs, which allows us to offer an option of free shipping to all our customers. 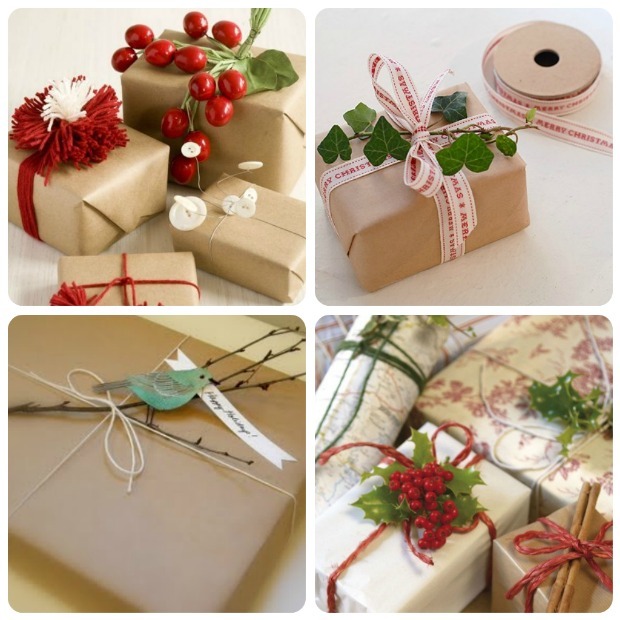 In some cases (generally the larger gift boxes or multiple orders) we will use brown cardboard boxes or brown wrapping paper and string. The majority of our gifts are couriered with CourierPost, which reaches all rural addresses, urban & CBD addresses, PO Boxes and Private Bags. So that’s it… how we wrap!